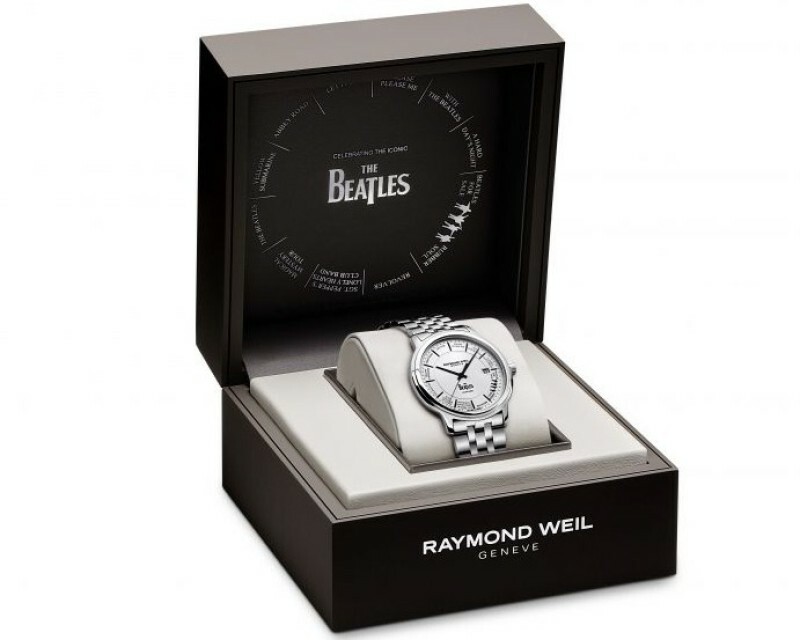 Swiss luxury watchmaker Raymond Weill is telling time with Beatles to celebrate its 40th anniversary. 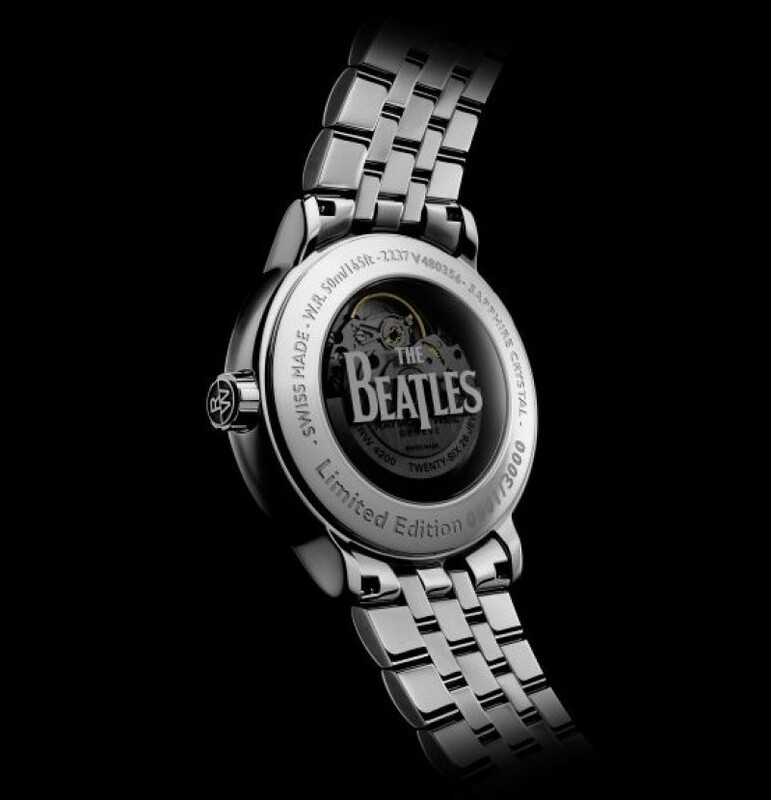 The watchmaker has announced the most exciting musical partnership ever in the watchmaking industry to unveil the unique Maestro Beatles Limited Edition watch. Celebrating the celebrated English rock band, the new Beatles Limited Edition is limited to 3,000 pieces only. An ode to the legendary Fab Four, the unique timepiece features a mechanical self-winding movement housed in a 39.5mm polished steel case. 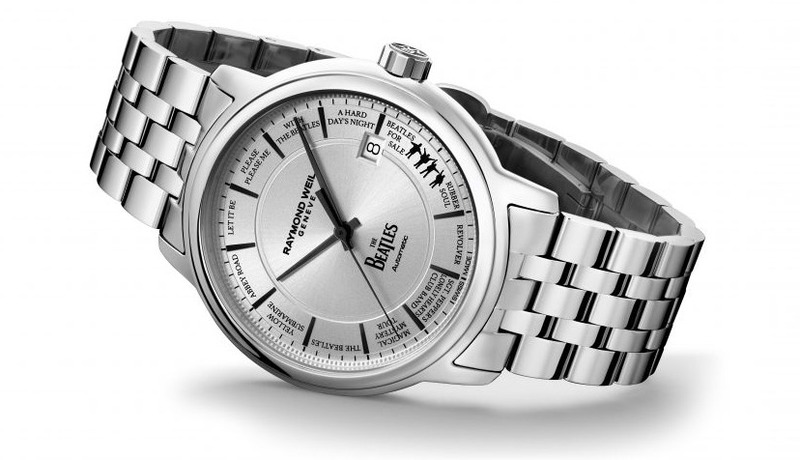 The must-have timepiece for Beatles fans, it comes with 13 Beatles’ album titles written all around the bespoke silver galvanic dial, a date window at 3 o’clock and a special “Help” index at 4 o’clock which recalls the cover of the iconic album released in 1965. Boasting the official Beatles logo on the front as well as the rear, each piece features an engraved limited edition number. 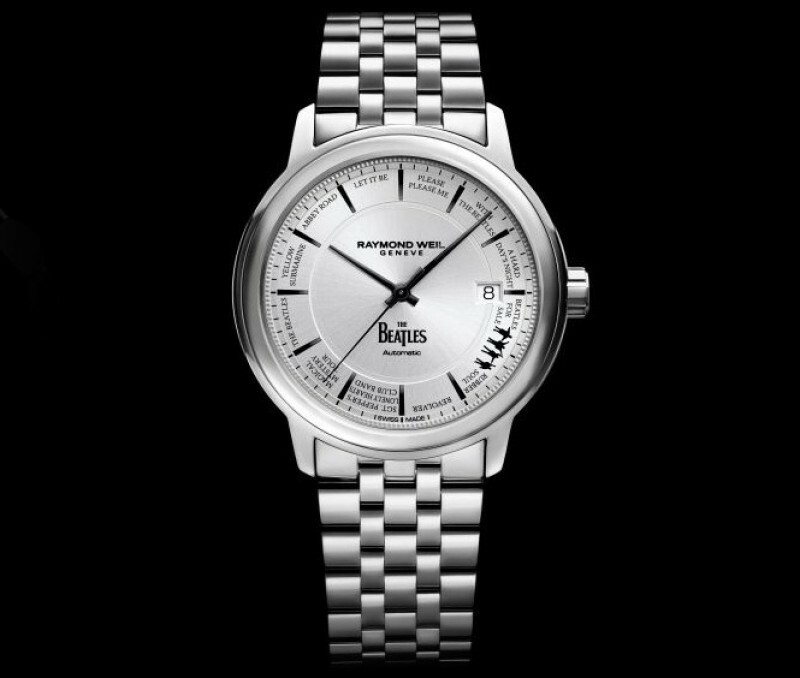 A dedicated watch case celebrating the music icons features an impressive drum with the official Beatles logo on the top of the box. 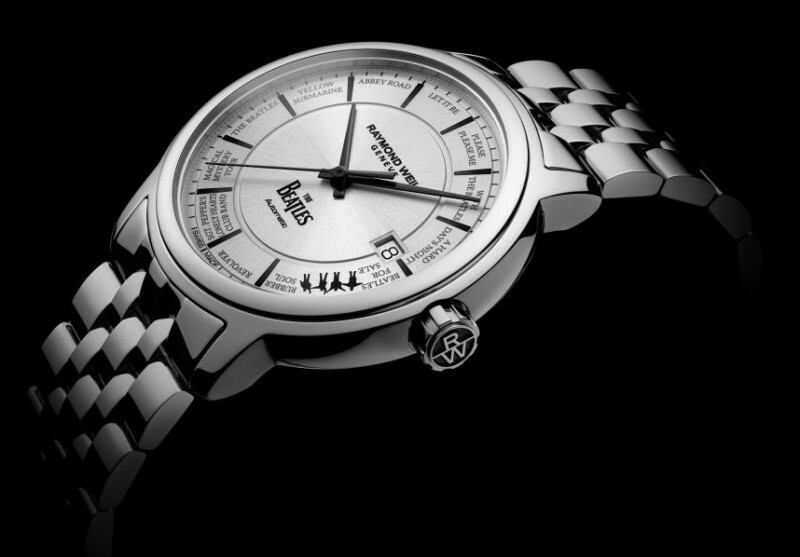 The inside features the 13 album titles that are marked on the dial of the limited edition. 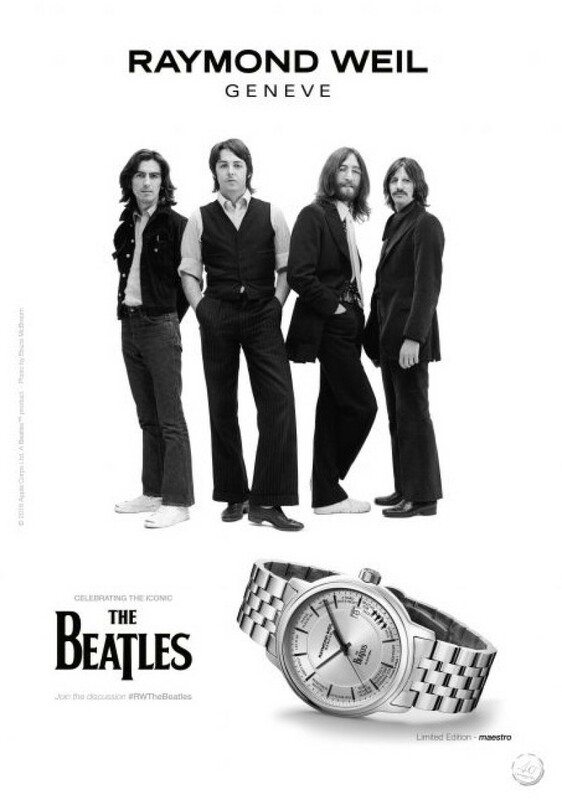 Raymond Weil also honors the music legends with a bespoke advertising campaign featuring a picture of the timeless and cross-generational Fab Four.